Similar to other specialty-specific billing, pain management and anesthesia coding has its own special set of rules and guidelines. Each one of these guidelines is specially formulated to make sure the insurance company knows how the pain management service was performed, who provided the service, and how it should be reimbursed. Before we go into any sort of specifics about pain management and anesthesia billing, it's important to understand exactly what it is. Many medical procedures, ranging from complex hours-long surgeries to simple incisions, require some sort of pain management. Because of this, pain management procedures include very complex anesthesia procedures, which require many providers supervising the anesthesia of one patient for an extended amount of time. They also include localized pain management for simple and fast procedures, such as removal of splinters or for circumcisions. Note: we use the terms "pain management" and "anesthesia" interchangeably. So, when we talk about pain management as a whole, it's important to understand that not all pain management procedures require a pain management specialist, an anesthesiologist, or a complex medical procedure. On the other hand, pain management should be thought of as an umbrella term for any kind of service that is used to manage the pain of a patient undergoing any type of medical procedure. Because pain management and anesthesia services vary so widely, there are many types of providers that can perform them. As a medical biller this is important to keep in mind. It's necessary to identify the correct provider on your claim as well as make sure the that provider gets paid for the services that he or she gave. This also means that many different types of providers will be performing pain management procedures, and that their qualifications may affect the amounts that they are reimbursed, or whether or not they get paid at all. 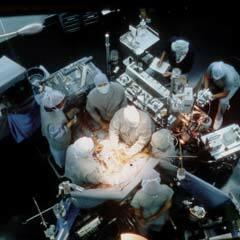 Physicians-Anesthesiologists: These providers are licensed medical doctors who are practicing anesthesiologists. They're required to get and keep their state medical licenses up-to-date just like any other medical provider. Anesthesiologist Assistants (AA): These providers are permitted to practice anesthesia services by state law, and have performed a six year program for Anesthesiologists Assistants, as well as a two year specialized clinical training in anesthesia. Certified Registered Nurse Anesthetists (CRNA): Similar to a Certified Registered Nurse, these providers are certified nurses who are specially qualified to practice pain management services. Each of these providers can bill the insurance company directly for their services, or have their payments made to the facility or group in which they practice. Another big difference in anesthesia billing is the type of provider involvement. Like we noted before, pain management can range from easy and quick procedures to surgeries or very complicated procedures that take hours and hours to complete. Because of this, pain management providers may have to be temporarily relieved from their duties for a temporary break or for a replacement provider. This ensures that anesthesiologists don't fall asleep during their duties and remain alert and able to care for their patients. Medical direction and temporary relief: This strategy is used when a CRNA or AA is administering pain management services under the direct supervision of an anesthesiologist. Basically, the requirement is that the CRNA or AA must be able to contact the supervising anesthesiologist at all times, or be within observable distance. If this condition isn't met then the anesthesiologist has to make sure that there are reliable mechanisms for communication between staff. This ensures that the patient is always under the direct supervision of a qualified provider. Personally performed: Just like it sounds, if the anesthesia services are personally performed, then it means that they were performed by the anesthesiologist on duty, and billed as such. Medical direction: This type of anesthesia service is a little different, since it includes the anesthesiologist informing the medical provider how to perform the pain management service, and then leaving him or her to perform the service under their own supervision. This usually occurs when the anesthesiologist is managing 1 to 3 pain management services at a time. Medically supervised: When an anesthesiologist is performing more that 4 pain management services at a time and administering them under medical direction, consider them medically supervised. These may seem like unnecessary distinctions to be made by a medical biller. But each of these types of provider involvement need to be billed differently, and will be reimbursed at different rates. Furthermore, they may each need special modifiers and possible condition indicators to make sure that the service is paid correctly. 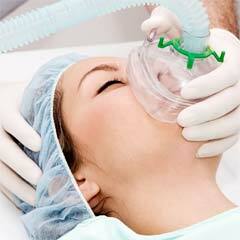 Anesthesia services furnished by the same physician providing the medical and surgical service. Once these two identifications have been made, as well as all of the previous ones, you can finally begin billing for your pain management service! This may seem like a lot to take in, and it is. In fact, this small article has only covered the first three pages of the Medicare anesthesia billing manual. To be the best pain management biller you can be, you'll have to learn many more of the intricacies involved. Just like any other specialized type of billing or coding, the more specialized and complicated that you get the higher your pay grade is. Remember that the more work you put in as a medical biller, the more qualified you become!